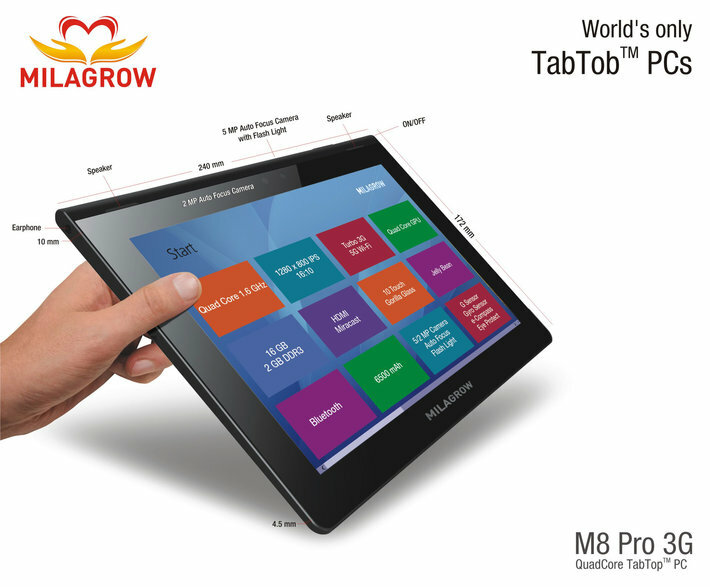 One of the leading provider of tech enabled solutions – Milagrow Business and Knowledge solutions, launched India’s most powerful TabTop PC – M8 Pro 3G. It features a Rockchip 3188 processor that clocks speeds up to 1.6 Ghz. Based on the enhanced cortex A9 architecture, this processor delivers 3 times faster speed than A5 Cortex. 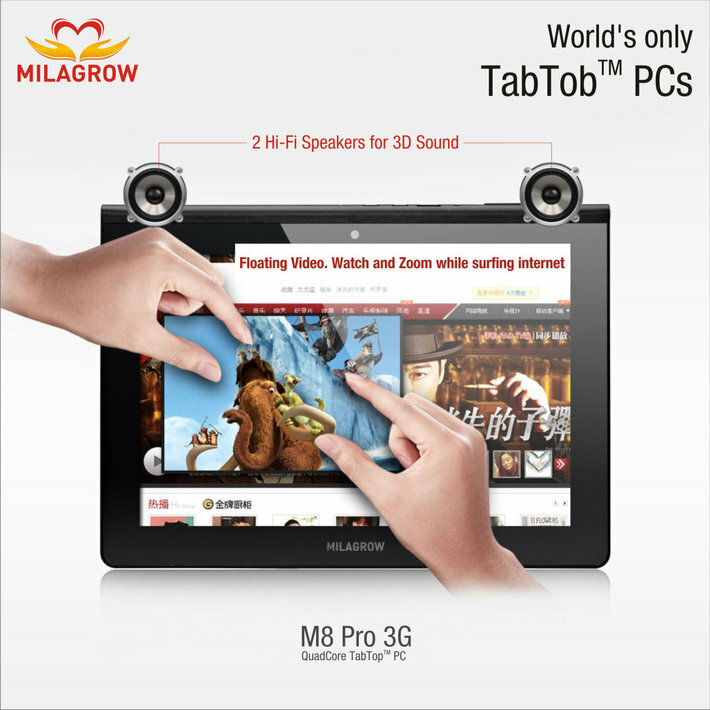 “This will prove to be highly beneficial for users who demand serious computing power from their mobile devices.” says Milagrow Founder Mr. Rajeev Karwal. M8 Pro 3G comes with a 16 GB internal memory and it can further be expanded to up-to 64 GB with the help of an external micro-SD card. It also supports external storage upto 2TB. M8 Pro 3G comes with a 5 MP primary camera and a 2 MP secondary camera.